At free ebook version of this title is available through Luminos, University of California Press’s Open Access publishing program. Visit www.luminosoa.org to learn more. 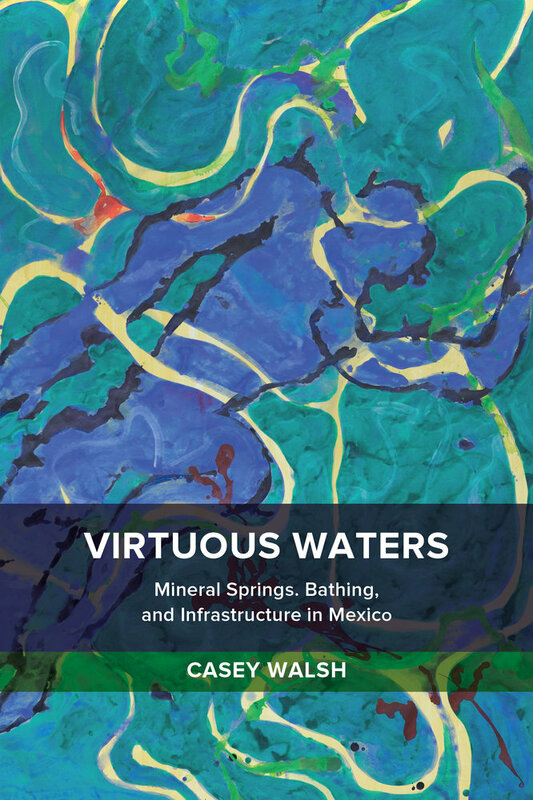 Virtuous Waters is a pathbreaking and innovative study of bathing, drinking and other everyday engagements with a wide range of waters across five centuries in Mexico. Casey Walsh uses political ecology to bring together an analysis of shifting scientific, religious and political understandings of waters and a material history of social formations, environments, and infrastructures. The book shows that while modern concepts and infrastructures have come to dominate both the hydrosphere and the scholarly literature on water, longstanding popular understandings and engagements with these heterogeneous liquids have been reproduced as part of the same process. Attention to these dynamics can help us comprehend and confront the water crisis that is coming to a head in the twenty-first century. Casey Walsh is Associate Professor of Anthropology at UC Santa Barbara. He is the author of Building the Borderlands: A Transnational History of Irrigated Cotton along the Mexico-Texas Border.